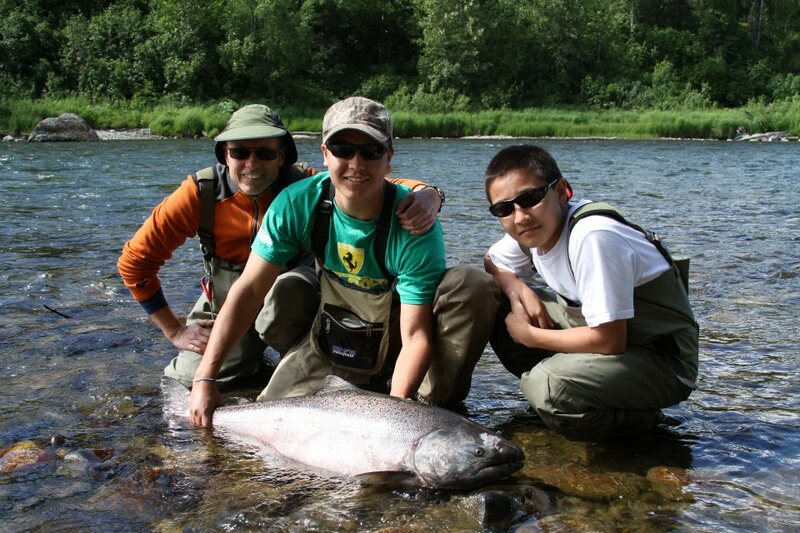 The home river of Wilderness Lake Lodge, Lake Creek, offers some of the best fishing for all Alaska salmon species. 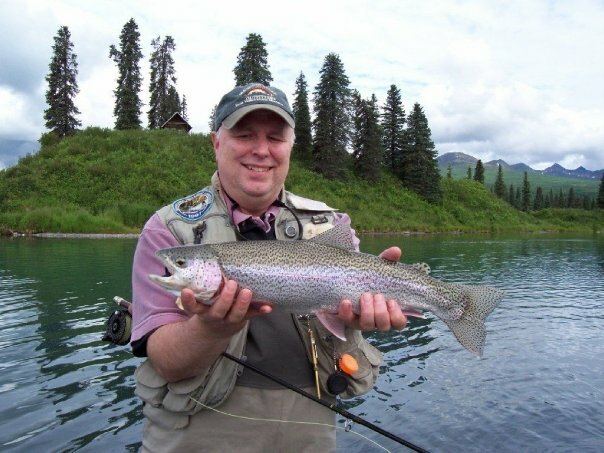 Rainbow trout fishing is excellent throughout the summer season at Lake Creek and provides a consistent alternative to salmon fishing during your stay. 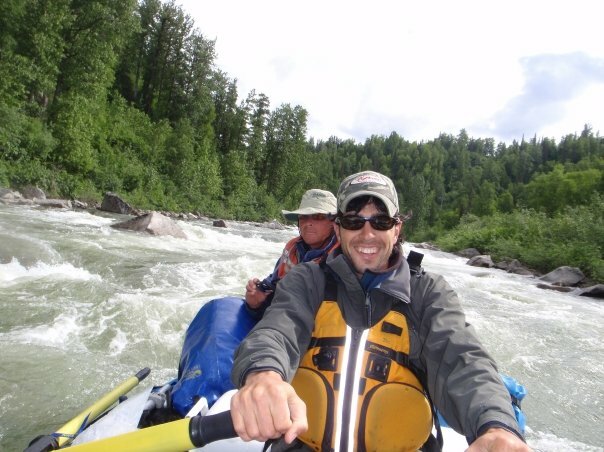 Lake Creek is a dynamic, meandering river with many isolated islands, gravel bars, runs, and backwater areas. 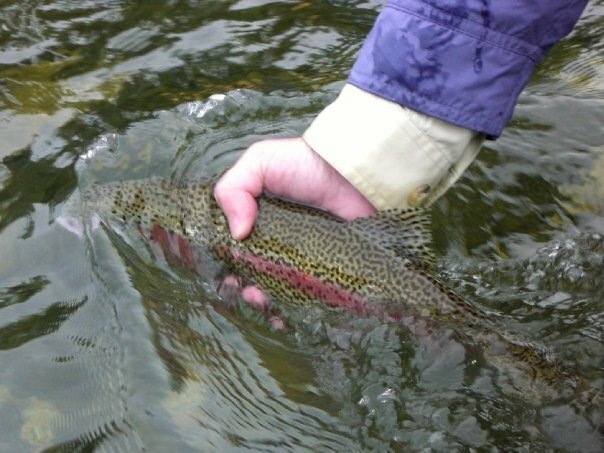 The waters are easily fished by spin and fly fishermen alike and is typically done from the river bank, or wading out from mid-stream shallow areas. 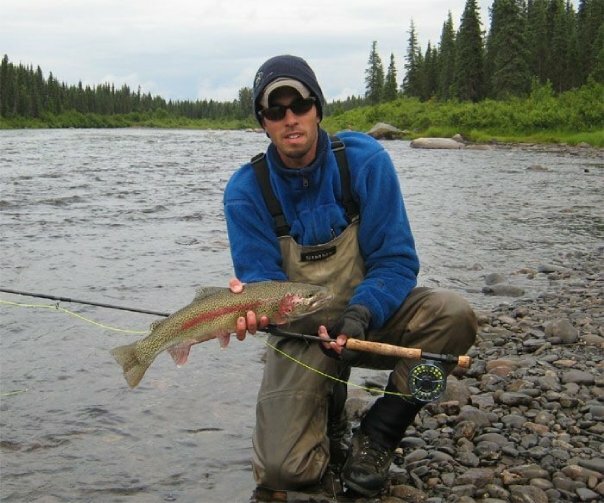 Wilderness Place Lodge offers excellent Alaska salmon fishing and trout fishing in this picturesque clearwater river. 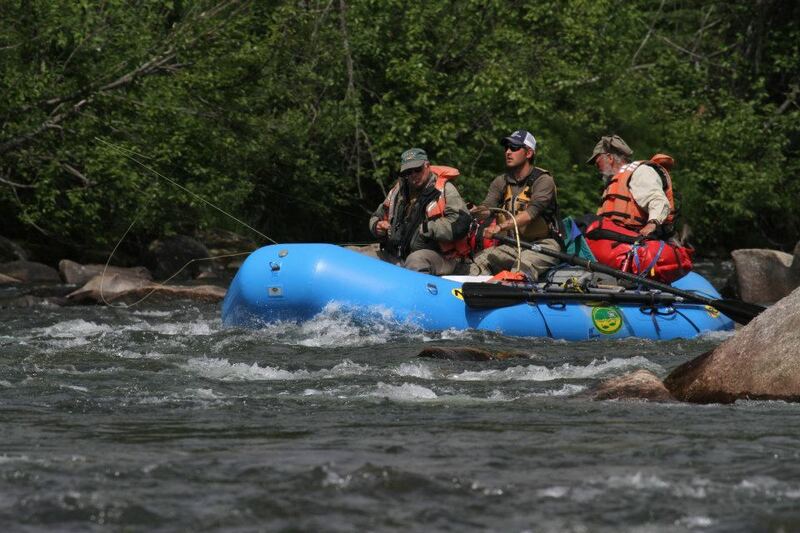 The float trips at Wilderness Place Lodge are for groups of 3 - 4 people for a personalized wilderness fishing experience. 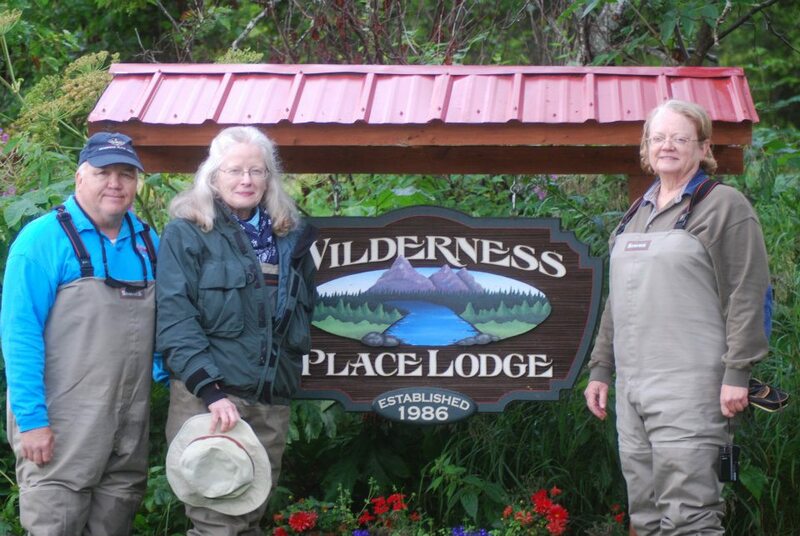 Separate from lodge-based fishing packages, Wilderness Place Lodge offers week-long, guided, fully outfitted remote Alaska float trips. 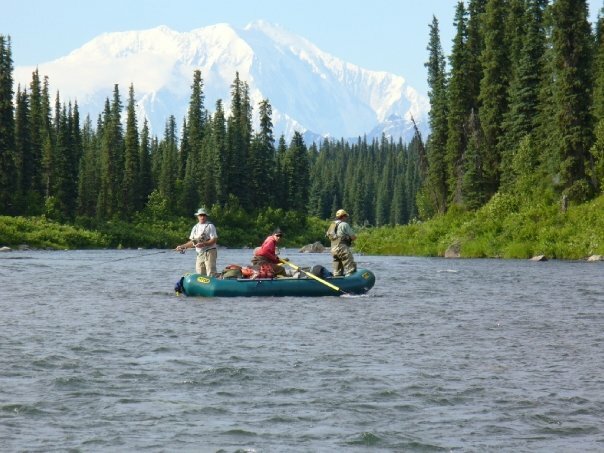 They raft the entire length of Lake Creek from the source at Chelatna Lake, on the southern border of Denali National Park, to the confluence at the glacial Yentna River. 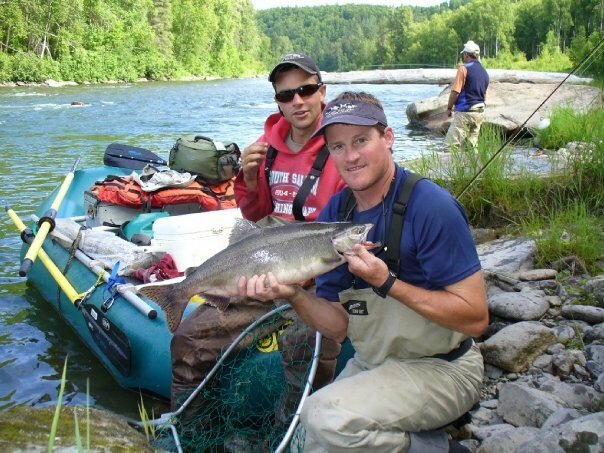 Their float trips give an angler the ability to explore a 60 mile wild & scenic stretch of remote Alaska. 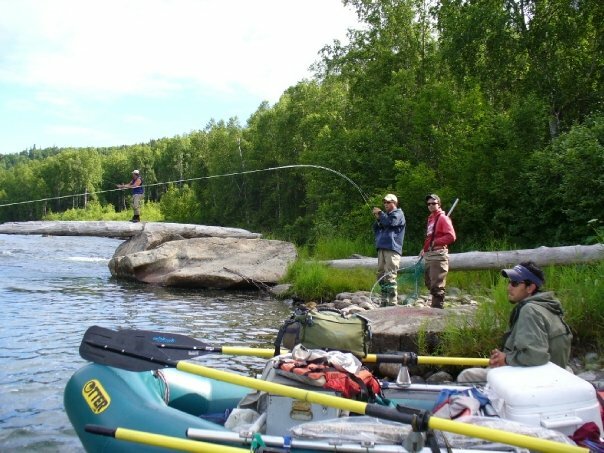 Enjoy wildlife and superb fishing for multiple salmon species, rainbow trout and arctic grayling. 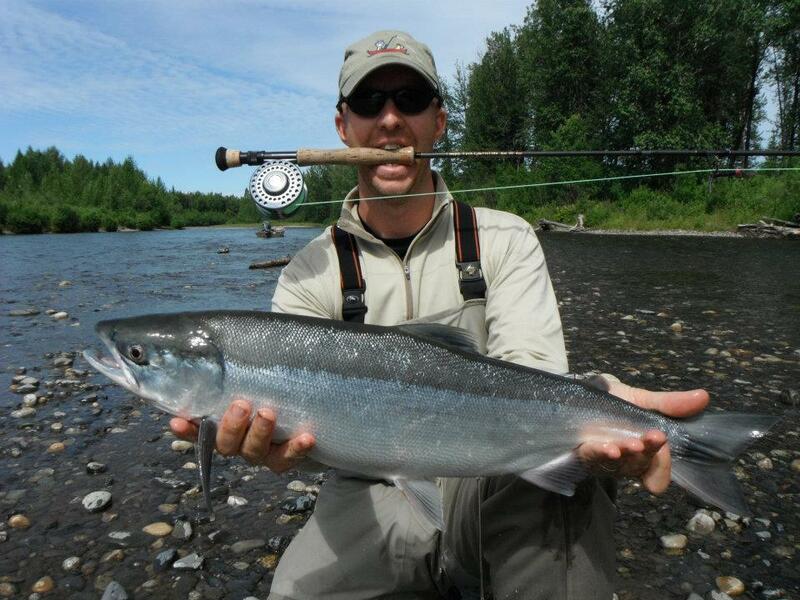 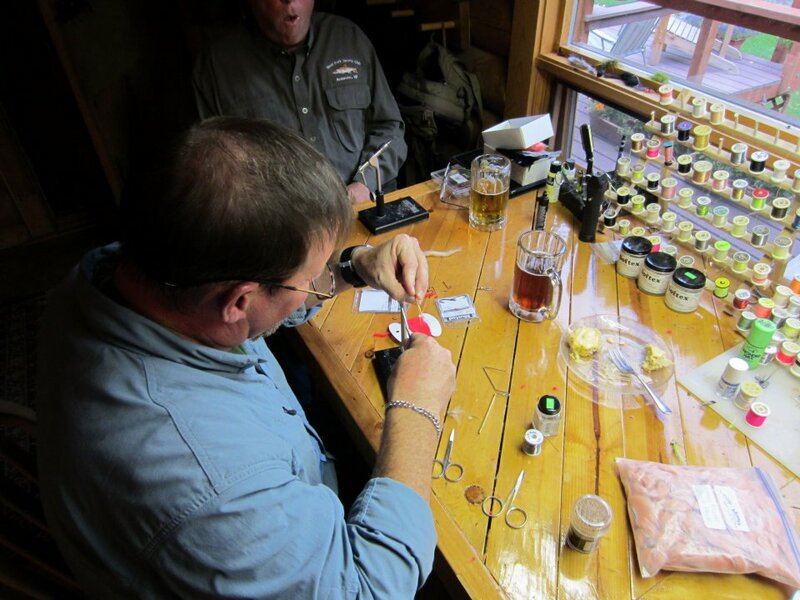 The pro guide staff fully caters to your every need, and assists with every aspect of your adventure. 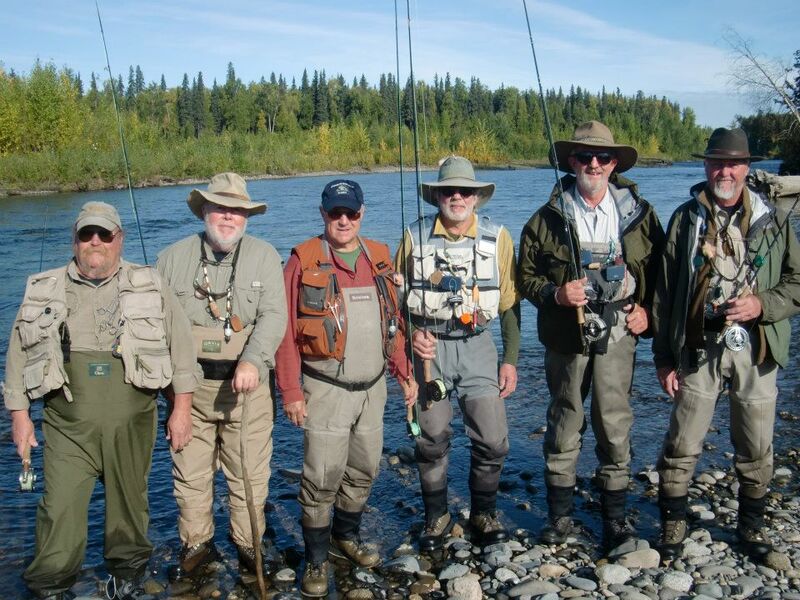 The Alaska float trips from Wilderness Place Lodge are all-inclusive and cater to small groups. 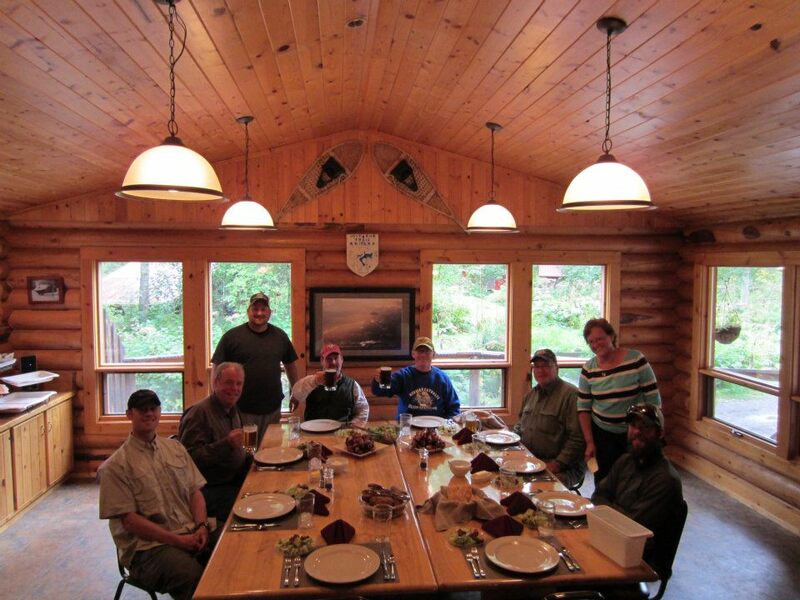 Wilderness Place Lodge has six deluxe cabins, all with full electricty, heat, wireless internet and all the comforts of home. 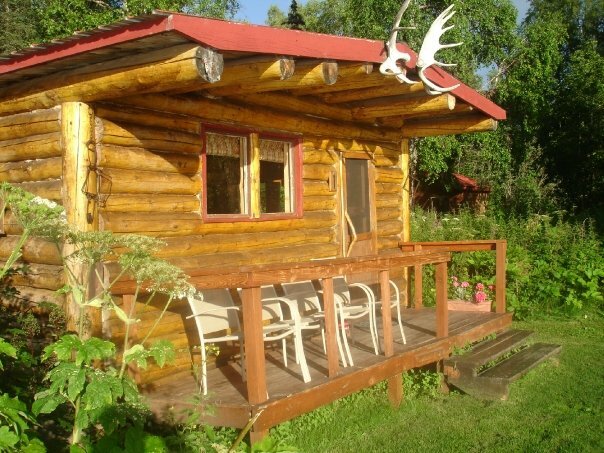 The "deluxe" cabins offer either single or queen beds with full bath facilities within. 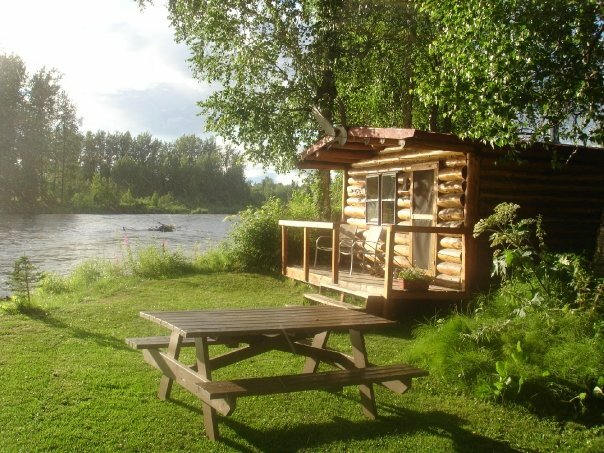 One log cabin is located on the banks of Lake Creek and five knotty-pine interior frame cabins are located a short distance from the river's edge. 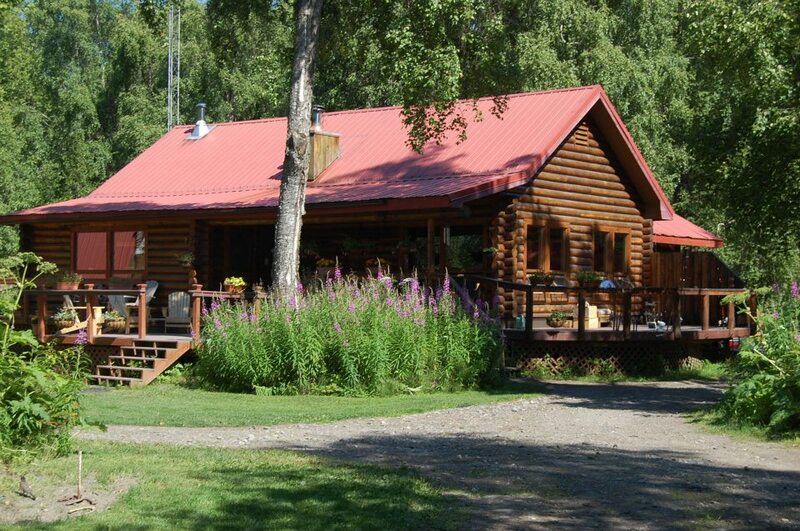 The cabins are heated with woodstove or electric heat, decorated with local artwork, and are equipped to offer each guest a comfortable, deluxe Alaskan accommodation. 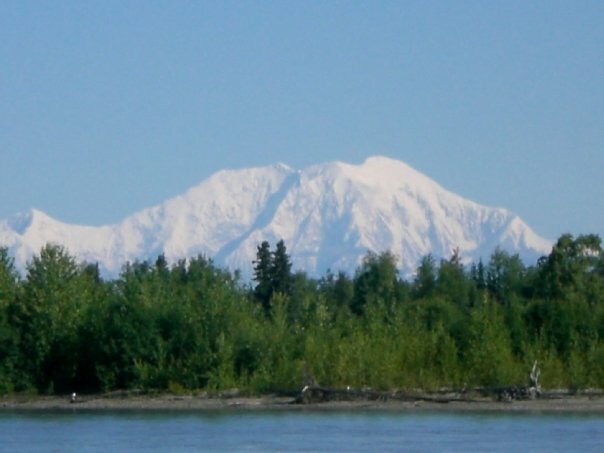 Daily housekeeping service with fresh towels is provided, and they have laundry facilities for your use. 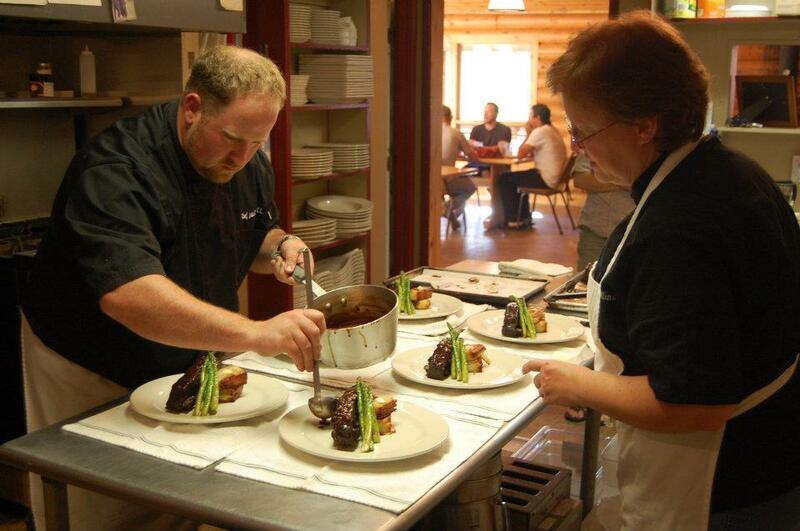 The culinary team at Wilderness Place Lodge aims to impress. 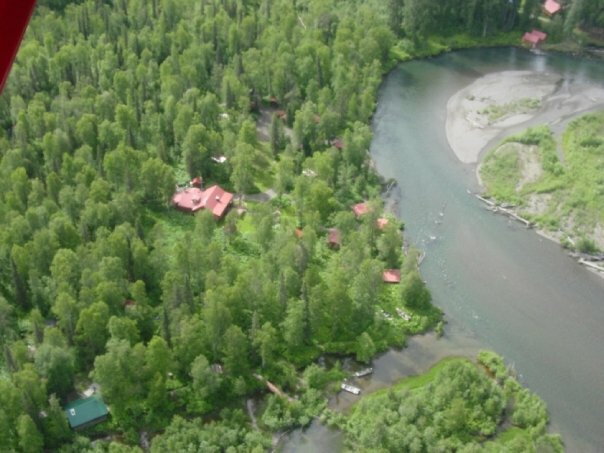 They strive to bring the service and quality of a five-star restaurant to a remote wilderness setting. 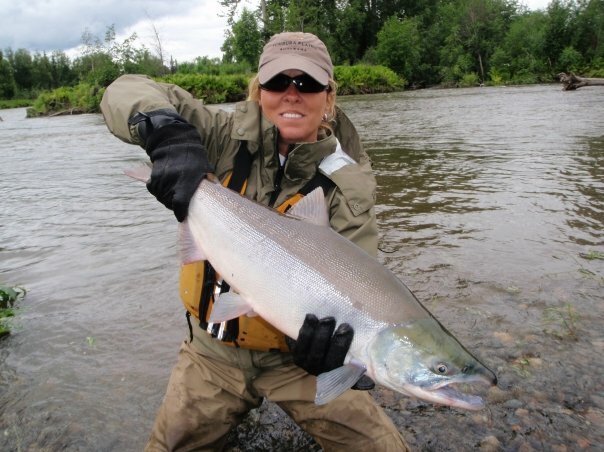 Dinner features fine wines, fresh Alaskan hors d oevres, hearty entrees and decadent desserts. 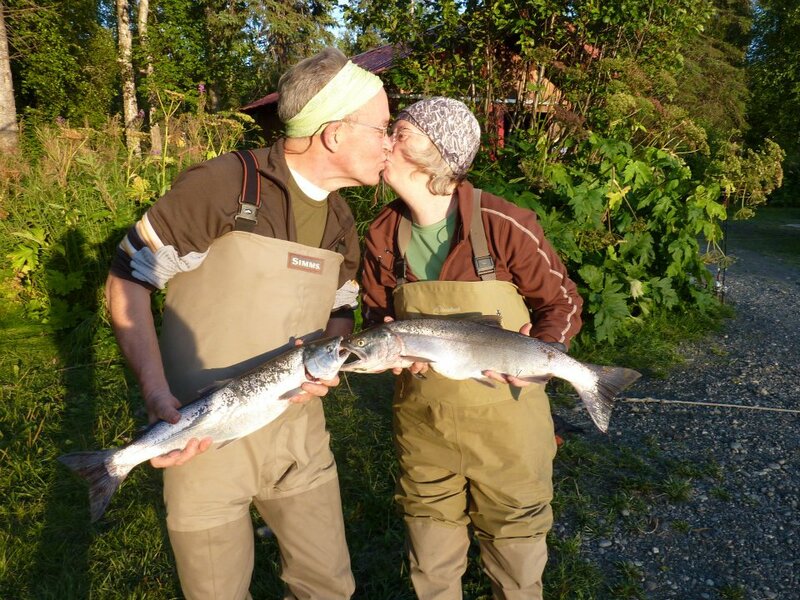 Their professional chef team features dishes such as fresh salmon, Alaskan halibut, prime rib, rack of lamb and hearty extras necessary to accompany hungry fishermen. 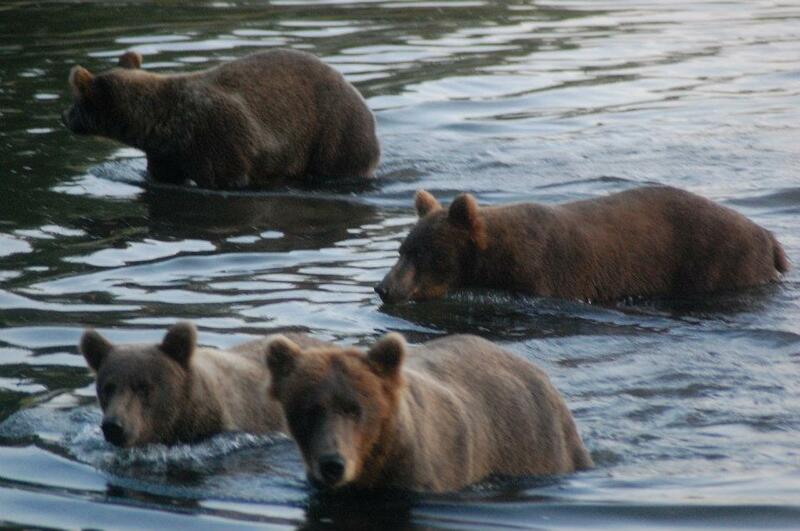 Wilderness Place Lodge will cater to the individual tastes of its guests.